One of the most common questions homeowners ask is, “Why is your piling system better than XYZ”? With access to more information than at any other point in human history, it is very easy to find the advantages but seldom the disadvantages as they are not typically advertised. The internet is a wonderful thing but a world wide WEB is exactly what it is. To help anyone make the best decision they can, we are providing the following information. The information should not be your sole source of study, but rather, a simpler overview of the different systems. When reviewing this information, always remember that this is YOUR home. Even though some companies may put on a better show, it does not mean that they are the best. Strong advertising cost a lot of dollars and those dollars come from homeowners just like you. Remember to always use common cents. Yes, we spelled cents as we intended as that is how we are going to approach some of the disadvantages. The materials for some of these products is relatively inexpensive but a premium is often charged to cover intense advertising costs. Various companies may put a different spin on the name but most fall in the following categories. Below is a list of commonly used piling systems in our area. There are other types of piling systems that will not be mentioned in this assessment as they are typically found in commercial applications with load requirements 5 or 10 times more than a typical residential home. Examples include auger cast piles and traditional micropiles. Most homeowners are going to have a basic understanding of this system type. In a nutshell, use an auger to remove soil and back fill the hole with a rebar cage and concrete. It develops its capacity primarily through skin friction. It can have an end bearing capacity but that is typically only accounted for unless the pile is seated into a firm material, such as rock. It is usually very affordable and this type of system has very little deflection (movement) when loaded. The issue that most homeowners will have a problem with is the length of time it takes for the concrete to cure and the amount of excavation required. It should be noted that concrete drilled shafts are the only deep foundation system mentioned in this article that requires a significant amount of soil to be removed from the site. It is a very large undertaking with most projects taking around two weeks to complete. Also, if the pile is not seated into rock, there would be a tendency for the pile to develop uplift in clays when the soil is saturated with water as the clays will expand and move the pile. If a proper rebar cage is utilized, all the excess soil is removed from the excavation, and it is seating into rock, this is a very good pile. This type of system is heavily marketed to the residential foundation repair market. Concrete cylinders are premanufactured and are hydraulically driven under your home using the weight of the structure for installation. You can find several YouTube videos on this system but it may have different marketable or trade names. Most projects are completed in a day or two and they do not require a very large crew to complete these projects. 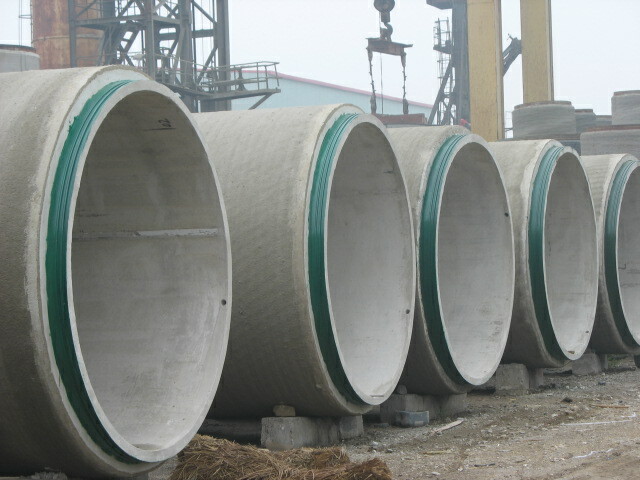 The piles are immediately loaded during the installation process. Many companies utilize this system as the small crew and relatively inexpensive material costs allow very low overhead costs. One problem with this system as is typical with a concrete drilled shaft is that they are sensitive to expansive clays. To understand the next problem, there needs to be some basic understanding of the installation process. An excavation or haunch is dug under a grade beam. A concrete cylinder is placed in this excavation and a hydraulic ram or jack is placed on top of the concrete cylinder. A lever or button is activated on a hydraulic pump and the jack pushes up on the foundation. The force applied pushes the cylinder in the ground until it reaches the point of refusal or until it starts lifting your home. If the home is lightly loaded or if the soil is dry, the pile cannot be driven deep enough to get beyond the active zone (seasonal drying and wetting) in the soil. The installation process can also cause over jacking of the structure. You will notice this then when doors that seemed to be in good working order are no longer able to function smoothly. This type of piling system is installed the same as a pre-stressed concrete cylinder but does not suffer from the friction component that may cause the pile to shift during times of the year when the soil is experiencing excessive wetting. It also requires the weight of the structure for installation. This type of piling system can also be typically installed deeper than a prestressed concrete cylinder as it has a smaller diameter and does not have the friction component. These work really well in areas where rock is present but still requires the weight of the structure to drive the pile into the ground. I am not a fan of these. I have seen too many homes ruined by this system and has no long term benefit unless some sort of new construction pile is incorporated into this system. This type of foundation repair would be considered a shallow foundation. Basically, a trench is dug, filled with concrete and the home is lifted on this new footing once it dries. If your home is already moving with shallow footing, what makes anyone think that adding more area to the footing is going to help? If you are in clays, which is where I typically see this done, the clays will still swell and push up on the structure and settle once the clays dry out. This system may buy you a year or two but when it fails, you will now have to pay extra costs to remove it so a deep foundation can be installed. Why do people do it? Simple. It’s cheap. Okay. You have come to our website and know we use CHANCE Helical Piles. We could go into issues with the different manufacturers but for the purpose of this assessment, we are going to talk about the pros and cons of the systems themselves. Unlike other systems, it is installed independently of the weight of the structure. This means that we can also add a factor of safety. Most homes are going to weigh around 1,200 lbs. per linear foot. On 6’ centers, this would require a capacity of about 8,000 lbs. per linear foot. These are typically installed to twice the required capacity, also known as a “factor of safety.” Piles that are installed using the weight of the structure do not typically attain a safety factor of 2. You also want to ensure that the pile gets beyond the active zone and you are not depending upon a lightly weighted structure to get beyond this zone. Most of the projects can be completed in a day. Now this part you may not know, but there are negatives to this system. First and foremost, if you are in an area that has rock at a shallow depth (2’0), do not use helical piles. They are not going to do any good and probably will not be able to penetrate the rock. We are taking steps to help overcome this issue but at this time, however, PATENT PENDING. The other problem you run into, from a business perspective, is that the material is nowhere as cheap as other systems. You have companies who have far larger profit margins than those who install helical piles at the same market prices. Remember when I mentioned advertising costs?